Recently, I’ve had many comments and e-mails asking me about “legitimate” work from home opportunities. Mystery shopping is one that has come up quite often. I started mystery shopping about seven years ago when my daughter was a new baby. Although it sounds exciting, there can be a lot of work involved and the work involved isn’t always “worth it” in terms of the pay. I look at it as a few extra bucks here and there for spending money or a free meal for my family. Through the years, I have done all types of shops including fast food, casual dining, retail, gas stations, banks, and even hotels. Pretty much every business you visit likely has some sort of mystery shopping program and at one point or another, and I have visited most of them. Lately, I only do gas station or casual dining shops because they are places that I would be going anyway or because I can take my family along with me. Most mystery shops require you to carry out some sort of scenario. You will usually have to read through a set of instructions prior to accepting or carrying out the shop and in some cases, you have to complete a training and pass a quiz before you can complete the assignment. Fast food shops often require you to purchase a specific item. Some shops are dine in and others are drive thru. You will likely be asked to keep track of how many people are in line when you enter the store, whether or not you were greeted upon arrival, how long it took for them to take your order, and how long it took for your food to arrive. You will usually also be asked to evaluate the cleanliness of the dining area and restrooms. Casual dining shops are similar in nature. If you are doing a retail shop, you may be asked to go in pretending to be interested in a certain item. You will likely be asked to rate the sales associate to see if they asked you certain questions or tried to upsell certain items. Some retail shops also require a purchase and then a return. If you do gas station shops, you usually have to purchase a set amount of gas and evaluate the cleanliness of the area where the pumps are. Then, you typically have to purchase an item in the store and evaluate the cleanliness of the restrooms. I have done bank shops where I pretended to be interested in opening up a specific type of account and I have also done bank shops where I actually applied for a home loan (the mystery shopping company provided me with a social security card and pay stubs to complete the shop). I have also done “insurance shops” which are typically by phone where I call to get an insurance quote and then have to answer a questionnaire or write a report about my experience with the insurance agent. On a hotel shop, you are usually asked to evaluate everything from your experience in making the reservation to the cleanliness of your room and even the dining facilities. Sometimes, there are specific scenarios such as asking for specific accommodations or requesting additional items upon check-in. I want to say this up front: You likely will not get rich or event be able to quit your day job through mystery shopping. 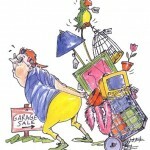 Some mystery shops pay an up front flat fee. Some pay a fee and a reimbursement, and others are reimbursement only. Resturant shops often offer reimbursement as well as a small fee. Some mystery shopping companies will send you a gift card up front to pay for your meal on a restaurant shop. Most mystery shops pay between $5 (fast food shops) to $12 (retail and gas station shops). Banking shops seem to pay more than some of the others and average between $12-17. Most companies pay via Paypal, so if you don’t haev a Paypal account, you will want to set one up. The most I have ever been paid for a mystery shop was $300. That was for a complicated bank shop in which I applied for a home loan. I had to record all of my conversations on the phone with a loan officer and actually follow through with the loan process (including signing all of the documents). It was a process that took a few weeks and was actually pretty time consuming. I don’t think I would do it again. They gave me documents (including pay stubs) and there was a whole scenario for my life that I had to carry out. My job was supposedly as a construction supervisor and I know nothing about the construction industry! The equipment needed varies based on the shop. Most shops require you to either scan or fax a copy of your receipts. Some shops will require you to take and submit photos and others will require you to record your interactions. After your shop you will have to submit a report (usually within 12-24 hours). Some reports are very quick and easy and are basically in a checklist format with very little narrative needed. Other reports, especially for more involved shops such as a hotel shop or a bank shop, require a narrative. Keep all of the documentation from your shop for 90 days. Sometimes they will call you to ask for clarification or there will be follow up questions. Can I take my kids along? Some mystery shops will allow you to take your children with you, but many don’t because of the attention to details that is involved. If you are new to mystery shopping, I don’t advise taking your children on your first shops with you. It takes some time to get the hang of catching all of the details and if you miss something and aren’t able to answer one of the questions on the report, you may not be paid. I have to be honest and say that when I have completed mystery shops (for example casual dining shops) and taken my family along, it has not been a very enjoyable experience because of the stress of trying to make sure I did everything correctly for the shop. The magic question is: how do I get started and which companies are the best to work for? The second question is difficult to answer because there are different companies in different areas, so what “works” in my area may not work in yours. The best resource if you are wanting to start mystery shopping is Volition.com. They have forums here that have information about different mystery shopping companies (the good, the bad, and the ugly) and a comprehensive list of mystery shopping companies here. TheMystery Shopping Providers Association (MSPA) is also a good resource when you are getting started. You can get certification through them but this is NOT needed. I don’t have it and I still have gotten plenty of shops through the years. Considering what mystery shopping pays, it just wasn’t worth the money to me. Some companies have “self assign” shops which basically means it’s a first come, first served basis. Other companies require you to “apply” for a shop and a scheduler will contact you if you are approved to complete a shop. Some companies will assign you a rating when you complete your shops and submit your report. The higher your rating, the more shops you will be offered. Most mystery shopping companies make you sign a “nondisclosure” type agreement basically stating that you will not provide details about the companies that you shop for to others. So, for example, you cannot say “X company does mystery shops for Subway” but you could say “X company does mystery shops for sandwich shops.” After awhile, you get a feel for which companies shop which locations (this does vary from state to state). 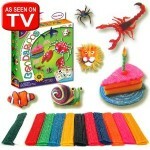 If you are interested in making some extra money, you might also want to consider merchandising or demo work. Merchandisers help with things such as new store set ups, product resets, and planogram design. When you are doing demo work, you will be doing things such as product knowledge training or promotional product distribution. At Christmas, they typically offer work helping with the Santa displays and photo service. You can find a list of companies here and check out the forums here. Other than paying up front for an item that you may need to purchase as part of a shop, you should not spend any money to become a mystery shopper. If a company is asking for an up front fee to find or provide jobs to you, it is probably a scam! Also, if you are completing jobs that involve reimbursement, check the reputation of the company first. As a mystery shopper, you are considered an “independent contractor” which means you are responsible for your own taxes. Do you know of a legitimate “work from home” opportunity? Would you like to be featured or do a guest post about your work from home opportunity? Please contact me! 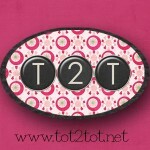 Katy/West Houston Readers: It’s not too late to register for Tot2Tot! 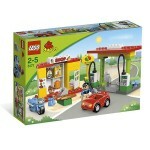 LEGO® Duplo My First Gas Station only $19.19! 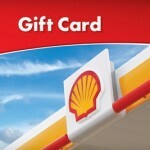 $10 Shell Gas Card for just $4!